Urban Clap, a preeminent UAE based IT service Provider Company eminent for repairing Computers and mobiles of all brands for both warranty and non-warranty repairs in the region. We have a team of 200 professional technicians who are well-trained and know how to deal with your Computer’s problems. Apart from that, we have harnessed all kinds of essential technology and tricks to provide an instant solution for any types of issues. We are UAE based IT service company who will fix all your issues via online remote access. If you don’t want to fix the issues through online access, you can also avail our On-Site support and repair service. Did your Tablet needs a repair service? Get the best repair services at affordable rates with Urbanclap. Contact us for your queries and we will resolve your issues ASAP. Recover all your lost data by contacting Urbanclap. We will also provide you proper tips on how to keep a proper backup. Share your issues with us and get the instant solutions. Dealing problems with your Old version of Windows! Upgrade your windows with complete guidance. Contact us anytime to check whether your system is upgradable to latest. Get awesome solutions related to your all kinds of Motherboard & Logic Board issues at Urbanclap. Our technicians show full dedication in repairing your Motherboard/Logic Board. Contact Urbanclap and we will repair your desktop ASAP. We provide instant and guaranteed solutions for even the most complex issues with Desktop at affordable prices. When your device needs to be fixed, relax and don’t panic. After a quick fix, we return it to your destination in a quick and secure manner. What our satisfied Clients say. I was amazed at the quality of service. I like you more and more each day because it makes my life a lot easier. Thanks, guys, keep up the good work! I recommend Urban Clap to everyone. You guys rock! Thank you for making it simple, pleasant and most of all hassle free! I wish I would have thought of it first. I am really satisfied with my first laptop service. I would like to thank Urbanclap for helping me to get rid of the virus from my computer. Your service is great and in future, I will prefer to contact you for computer issues. We’re an experienced and award-winning repair company. 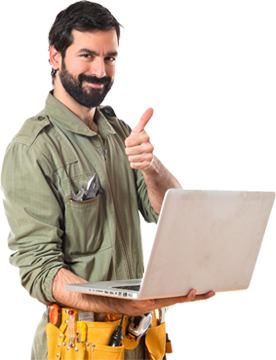 We’ve successfully fixed thousands of computer device over the last couple of years with our full customer satisfaction whatsoever.